« Grammar Giggle – OJ . . . or LJ . . . or Maybe Just J! We Would Like Your Presence Too, But Only If You Bring Presents! I found this one on Twitter. 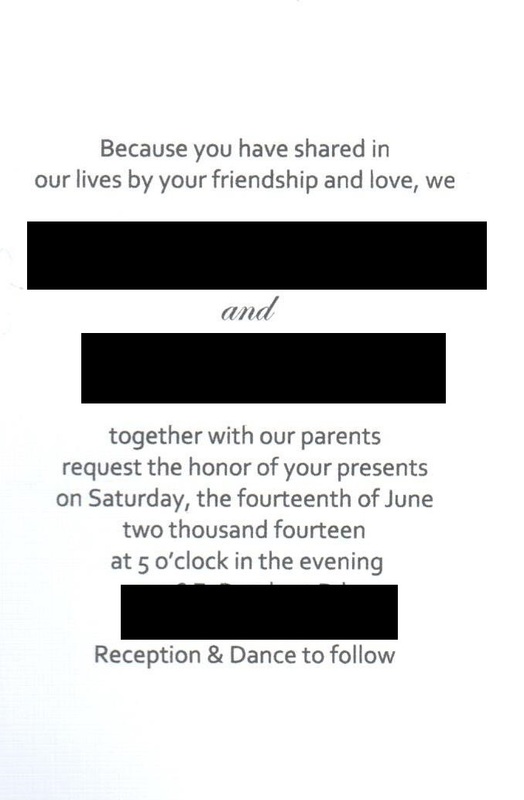 If you don’t think you have a good grasp of grammar and homophones, please take someone with you (or at least let them look at the language before you have invitations printed). This is just embarrassing. At least it is if it was truly an error and the bride and groom aren’t just greedy.